More football, more injuries. If your Christmas list includes positive fortunes for your fantasy team, you'll be helped by some positive news on the injury front. Unfortunately, you know the drill by now. The 2015 NFL season has produced lump of coal after lump of coal in regards to injuries, with stars and key contributors dropping like overfilled stockings. Jolly old Saint Nick himself wouldn't know what to do with all of that coal, but if his fantasy roster was left in the lurch by injuries, we imagine he'd put the elves to work, guzzle down some of Mrs. Claus' egg nog, and dive in to the latest edition of the fantasy football injury report. If you or Santa are getting ready for that championship game this weekend or just trying to close out the year with a consolation win, we'll unwrap all of the latest news and updates on the injury front to help keep you on the ball ahead of week 16. Ho ho ho. Here is your week 16 fantasy football injury report. - Titans QB Marcus Mariota left his team's week 15 game at New England with a knee injury. Mariota, who missed time earlier this season with an MCL sprain, was replaced by Zach Mettenberger. On Monday, the team ruled Mariota out for weeks 16 and 17. Mettenberger will get the start. WR Kendall Wright (ribs) remains week-to-week. - Texans QB T.J. Yates left his team's week 15 game at Indianapolis with a knee injury. Yates went down late in the second quarter and did not return. He was replaced by Brandon Weeden and diagnosed with a torn ACL after the game.. Yates was starting in place of Brian Hoyer (concussion) whose status should be updated this week. 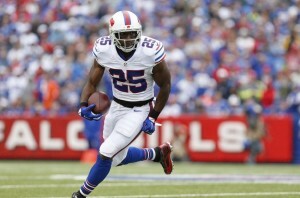 - Bills RB LeSean McCoy left his team's week 15 game at Washington with a knee injury. McCoy was injured early in the third quarter and was replaced by Karlos Williams and Mike Gillislee. Shady is reportedly dealing with a torn MCL and is considered week-to-week at this point. TE Charles Clay missed week 15 with a back injury. Clay is considered week-to-week. WR Robert Woods left with a knee injury, though it did not appear to be too serious. - Vikings RB Adrian Peterson briefly exited his team's week 15 game with an ankle injury, but was able to return. He was replaced by Jerick McKinnon and Matt Asiata. Peterson is believed to have sprained the ankle, but looks on track to play in week 16. - Ravens TE Crockett Gillmore (back) could miss the rest of the year. Gillmore did not play in week 15 and looks set to miss week 16 as well. With Baltimore's season long over, the Ravens could look to err on the side of caution and shut Gillmore down for the remainder of the season. Maxx Williams would take his place in the lineup. LeSean McCoy looks set to miss week 16 with a knee injury. - While Peyton Manning's short and long-term outlook in Denver remains murky, QB Brock Osweiler is now battling a shoulder injury which he picked up in the team's week 15 loss at Pittsburgh. Osweiler will have a scan on his injured shoulder this week, though the thinking is he will be able to play in week 16. - Seahawks RB Marshawn Lynch (abdomen) remains without a clear timetable for his return, though he has not been ruled out for week 16. The Seahawks lost fellow RB Thomas Rawls for the season with an ankle injury in week 14. - Bears WR Alshon Jeffery left his team's week 15 game with a hamstring injury. Jeffery has battled a myriad of frustrating abdominal and lower-body injuries this season. He should be considered day-to-day at best for now. - Cardinals RB Andre Ellington (toe) did not play in week 15. Ellington should have a better chance of suiting up in week 16, but he'll need to be monitored through the week. David Johnson has established himself as the lead back with Ellington and Chris Johnson (knee) on the shelf. QB Carson Palmer should be fine for week 16 despite picking up a finger injury on his throwing hand in week 15, but CB/S Tyrann Mathieu is done for the year with a torn right ACL. The Honey Badger tore his left ACL two seasons ago. - Panthers RB Jonathan Stewart missed week 15 with a knee injury. Stewart has not been practicing and should be considered week-to-week. TE Greg Olsen managed to shake off his knee injury and played well in week 15 as Carolina remained unbeaten. 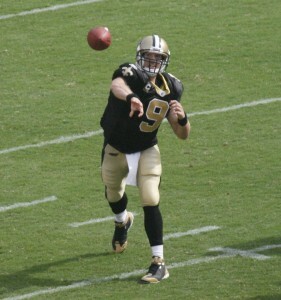 - Saints QB Drew Brees appeared to suffer a foot injury during Monday's game against Detroit. Brees was able to play through the injury, though it remains to be seen whether or not New Orleans will choose to shut down the 36-year-old with their playoff hopes officially null. Brees is believed to have torn the plantar fascia in his right foot -- a similar injury to the one that has saddled Peyton Manning recently. Brees was in a walking boot and headed for an MRI on Tuesday morning. RB Marcus Murphy will miss the rest of the year with an ankle injury. He was placed on season-ending injured reserve ahead of week 15. Murphy joins fellow backs Mark Ingram (shoulder) and Khiry Robinson (ankle) on injured reserve. - Bengals TE Tyler Eifert (concussion) will hope to return in week 16 after missing week 15. Eifert's status should become more clear by Thursday. QB Andy Dalton remains out indefinitely with the thumb injury he suffered during week 14. - Cowboys TE Gavin Escobar tore his Achilles in week 15 and will miss the rest of the season. - Packers WR Ty Montgomery suffered another setback in his recovery from a high-ankle sprain ahead of week 15. Montgomery has been out since going down against the Chargers in mid-October. Drew Brees' foot injury should be monitored closely. - The Colts have ruled QB Andrew Luck (kidney,shoulder) out for week 16. Matt Hasselbeck (ribs) will continue to play through the pain in Luck's place. WR Phillip Dorsett left the team's week 15 loss to Houston with a knee injury. - Jags RB T.J. Yeldon missed his team's week 15 game with a knee injury. Yeldon did not practice all week, and should be considered questionable heading into Jacksonville's week 16 trip to New Orleans. Yeldon is not the only ailing runner in Jacksonville's backfield as Denard Robinson sustained a foot injury in week 15. Jonas Gray and Joe Banyard are the next men up with Toby Gerhart (abdomen) out for the season. - Chiefs RB Spencer Ware (ribs) was able to play in week 15, though Charcandrick West saw most of the work. Ware should be considered fine moving forward. - Dolphins wideout Rishard Matthews (ribs) could return in week 16. Matthews missed his third-straight game in week 15, but was able to practice. He should be considered day-to-day. - Patriots TE Scott Chandler missed week 15 with a knee injury. Chandler had seen extended playing time recently while fellow tight end Rob Gronkowski battled a knee injury of his own. WR Julian Edelman (foot) will likely miss week 16, but could be in line to return in week 17. QB Tom Brady shook off an illness to play against Tennessee in week 15. - Chargers WR Stevie Johnson (groin) did not play in week 15. Stevie will hope to return for the bolts' Christmas Eve trip to Oakland. TE Ladarius Green shook off an ankle injury to play against Miami in week 15. Wideout Dontrelle Inman (neck) was also able to play. RB Melvin Gordon's disappoitning rookie season came to an end in week 15 when he suffered a knee injury. San Diego placed the former Wisconsin standout on season-ending injured reserve Monday. - 49ers WR Torrey Smith (back, toe) was able to play in week 15 and should be fine for week 16. - Buccaneers WR Vincent Jackson remains week-to-week with a knee injury. V-Jax missed his team's week 15 loss at St. Louis. The Chargers and Raiders will release their initial injury reports on Tuesday, with the rest of the league following suit on Wednesday. Merry Christmas and good luck in week 16.